Elysian Brewing | Beer Blotter: Seattle based. World focused. Drink, but not that much. October is nearly over, and you know what that means right? It is pretty depressing, so I’m not surprised if you are having a hard time answering. Yeah, it means that we will soon be saying goodbye to the fall seasonals until next year. Oktoberfests are pretty much already gone. Fresh Hops, you still might be able to find some, if your really search, but they are nearly gone. Pumpkin Ales…oh good god, please don’t say it…sorry but, almost gone. Sure, if pumpkin ales were all of a sudden available year round, they would probably lose their luster after a while. I kind of like it the way it is, though I wouldn’t mind if I could hoard some bottles and crack them open at some other time in the year, where the mood to strike. I don’t know if you’ve noticed, but it’s really hard to find bottles of the good stuff. It seems like the moment they hit the shelves, you blink and they’re gone. This element seems to add to the excitement around finding pumpkin ales on tap. You really have to keep your eyes and ears open and pounce when the opportunity presents itself to sip on that nectar of the great gourd. 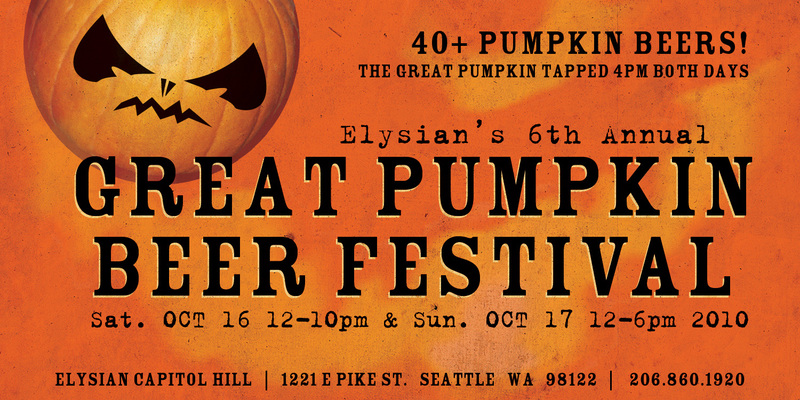 Lucky for us here in the Seattle area, we have Elysian Brewing, kings of pumpkin mashing, right in our backyard. We get to attend The Great Pumpkin Beer Fest at their Capitol Hill location (read our review here), which is indeed great. But, it still doesn’t fulfill my unrelenting hunger for pumpkin and spice. I even made a batch at home this year…still want more. In steps Beveridge Place Pub in West Seattle, to provide that one last dance of the season. Tonight they will be tapping five pumpkin beers for their Plethora of Pumpkin celebration: Elysian Night Owl and Dark o the Moon, Southern Tier Pumpking, Schooner Exact Gutter Punkin, and Snipes Mountain Pumpkin Death. These gems will be available all day and night, and they’re happy to pour taster trays of all 5. 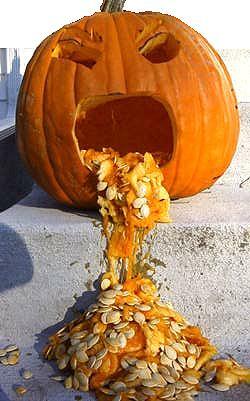 If you are like me, and your hunger for pumpkin is not unlike a zombie’s hunger for brains, lurch and groan, with arms outstretched in front of you, over to West Seattle’s finest beer bar and feed on the flesh (of a pumpkin please). A Quick GABF Review: Washington Shows Up, Pizza Port Destroys. The results are in. Washington takes 7 medals. Well, the results are in. GABF 2010 is officially over and the results have been tabulated. Thanks, Pizza Port, for not taking all of the medals. While Washington put up a reasonable fight, the show was stolen by several Southern California brewers, who swallowed up all of the best brewpub awards this year at the GABF. Washington appears to have turned in a respectable finish, earning a total of 7 medals (well, if you count Pyramid). Out of the total 237 Medals, Washington will take 1/34th of the medals. But, in a year where the event seems to have been dominated by San Diego brewers, its an ok finish. This was the year for So. Cal. San Diego brewers, Port Brewing/Lost Abbey/Pizza Port, Ballast Point, Karl Strauss and Stone Brewing, took home a total of 14 medals. 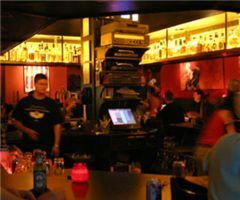 Los Angeles brewpub, TAPS, took home three medals, as well. Pizza Port Carlsbad is the big winner with a total of 6 medals (almost matching Washington state). 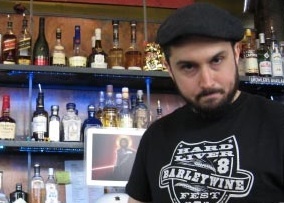 The brewpub is one of several brewpub locations for the retail line of Port Brewing/Lost Abbey. The Carlsbad location is headed by brewer Jeff Bagby, who took home the Best Large Brewpub of the Year, for the second straight year. Pizza Port’s San Clemente pub took home the Small Brewpub of the Year, while also collecting the Gold Medals in the two most hotly-contested categories – American-Style IPA and Imperial IPA. We cannot wait to get a taste of these ales during San Diego Beer Week. One other note: Fathead’s Brewery took home the Silver Medal in the American-Style IPA category. This is the same IPA that floored us during a recent trip to the Cleveland brewer’s pub. Try to get this if you ever visit. Check out the complete list of winners by following this link. Start planning your trip for next year’s September event! If you are walking through Pioneer Square and you spot that sign...go in and eat...no matter what. Visit: A Monday without work provided a great opportunity to get lunch at this very new sandwich shop in Pioneer Square, aka – The New Sandwich Center of Seattle. This is a Deli. They have sandwiches here. Amazing, amazing sandwiches! Just a mere hop, skip,and jump down 1st Ave, south of the Beer Blotter home base, lies a lunch dream that we have never before visited. On this day, we changed that. Allow me to quickly state, right from the onset, that this is not a Seattle beer destination. This is, however, a serious Seattle culinary destination. If you like sandwiches, this place is a MUST visit. I think, after reading this article, you will be very willing to take my word for it. Luckily for us, they offer a few local craft beers to sip on whilst chewing. Let’s get down to business. I’m an East Coast guy. I grew up just south of Philadelphia. There is nothing that I miss more about home, other than a few superior humans, than sandwiches. Breakfast sandwiches from street vendors, Tony Luke’s and John’s Roast Pork, Italian hoagies from Sarcone’s, Cheesesteaks from Jim’s. I’m getting emotional just thinking about it. I am totally serious when I yell you that the last time I went to Philly, my absolute first stop, before seeing family or friends was Sarcone’s for an Italian, everything sweet. That was shortly followed by a trip to Philly Soft Pretzel Factory. Food is even above beer for me when I go home, and that is surely saying a lot. In Seattle, Tat’s is my savior. I can get a 12″ Italian hoagie there and all that is required to make it authentic is to request oil over the menu subscribed mayo. For those that don’t know, the piece of the puzzle that is very rarely attained in the West is the bread. Philly has good Italian bread…period. It makes the sandwich. Tat’s has the bread. Tat’s also had Tastykakes, but I won’t get into that now or this will be far too long of an article. Most sandwich joints worth while in Seattle have good bread as well, just different from the bread of Philly. Many seem to use baguettes, which seems to work quite well most of the time. It is the opinion of this writer that there is no better sandwich in Seattle than the Cuban delights of Paseo. Just as an example of how highly I regard Paseo, I offer the following insight. My father is coming to town in a few weeks. He has never been to Seattle. My top-three list of non-nature related destinations to take him to, in order, are Pike Place Market, Brouwer’s Cafe, and Paseo. If I had to pick one place in Seattle to eat every meal of the rest of my life, it would be Paseo. 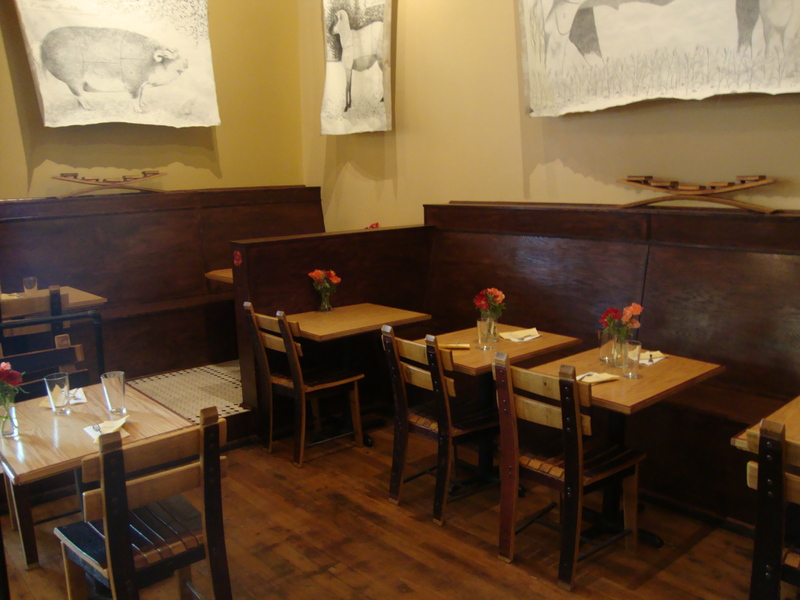 Moving on… Salumi is amongst my favorites, as is Tub’s and Honey Hole. Buffalo Deli is on my list of places to go, as is Homegrown. Delicatus, though I have only been there this one time, has been added to my list of favorites. I feel confident in doing this, not only because of the quality of the sandwich I had, but of the genius behind the available sandwich offerings. I implore you to brief the menu online, you will begin to salivate. The only negative thing I have to say about Delicatus is that choosing a sandwich from the menu is impossible. I wanted everything. I initially narrowed my search to “spicy” sandwiches, I guess because I was in a spicy mood. The Pavo Diablo and the Fire of 1889 became my finalists, and the braised pork won me over in the end. Fire of 1889 it was. 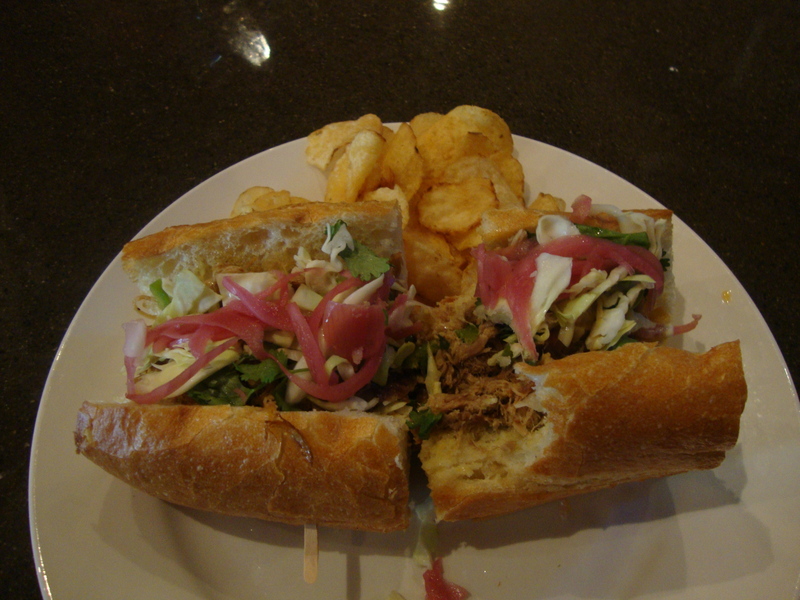 This little firecracker consists of spicy braised pork (as I just mentioned), jalapeno-lime aioli sauce, shredded cabbage, shaved and pickled red onions, hot peppers, and cilantro on a toasted Italian roll. I can honestly say that I have never had a sandwich quite like this one. A unique marriage of flavors that worked ever so well. The cabbage gave a bit more of a crunch than your average run-of-the-mill lettuce. The aioli and cilantro mingled like royalty and reminded my of the special sauce of Paseo. Hot peppers have me the kick that I needed and the picked onions fought through all that stood in their way to shine but not overpower the flavor. The shaved pork, though not all that spicy, was still shaved pork, which is awesomely delicious. I chose a beer that would wash a bit of the heat down but not overpower the flavors in the sandwich. Hale’s Pale worked wonders. The carbonation and light floral hopiness sliced just the right amount of heat out of the jalapenos in the aioli and the hot peppers on top. This was a Monday moment to remember. 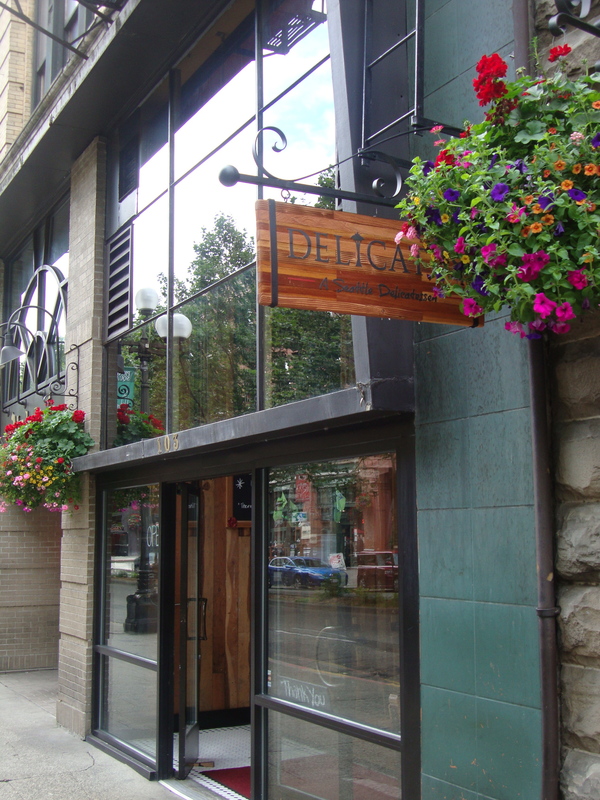 As much as I find it a bit embarrassing that I speak so enthusiastically about sandwiches and have yet to hit all of the most respected spots in the city, it’s places like Delicatus that continually stand in my way. Once I find a place that I know I like, and they have a massive menu of mouth-watering, bread flanking treats to ingest, all I can think of is conquering the menu from front to back. Something tells me that I’ll make it back for the Pavo Diablo sooner than later.